Gaven Industries' manufactures all components used in its R.F. Shielded Enclosures in-house except fingerstock and electrical filters. Our 25,000 square foot manufacturing facility allows for the utmost stringent practice in quality control, as everything from design to fabrication to testing is overseen by our highly experienced personnel. 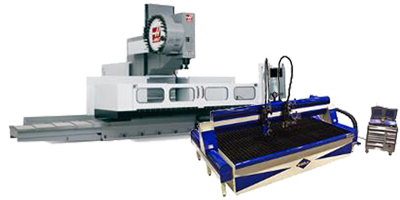 Gaven Industries hosts a complete array of machines for CNC machining, welding, cutting, finishing and more. Our CNC machining area includes a Haas VS-3 which has a 150" x 50" x 50" machining area allowing us to precision machine very large fabrications weighing up to 10,000lbs. 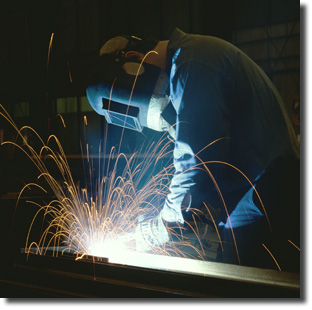 All of Gaven Industries door leafs and frames, and window frames are made of fully welded 304 stainless steel.